Dream of a bubble bath or a hot summer day where your kids are blowing bubbles in the addicting, quick Mahjong Solitaire Bubbles game. 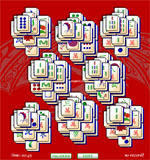 Pop the Mahjong Solitaire Bubbles one by one as you get rid of all the mahjong tiles on the bubbles board. 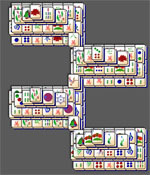 Mahjong Solitaire Bubbles are popped when identical mahjong tiles are matched. Matching has never been so fun! 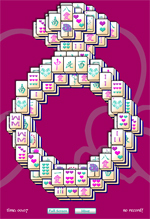 As the Mahjong Solitaire Bubbles disappear, do not fret. 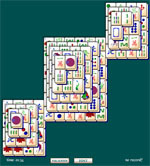 Play the mahjong game again to beat your best time and the thoughts of summer or relaxation will never end. When playing with Mahjong Solitaire Bubbles you can click the hint button and with a simple share on Facebook, you can receive unlimited mahjong solitaire bubble hints!